The traveling continues! 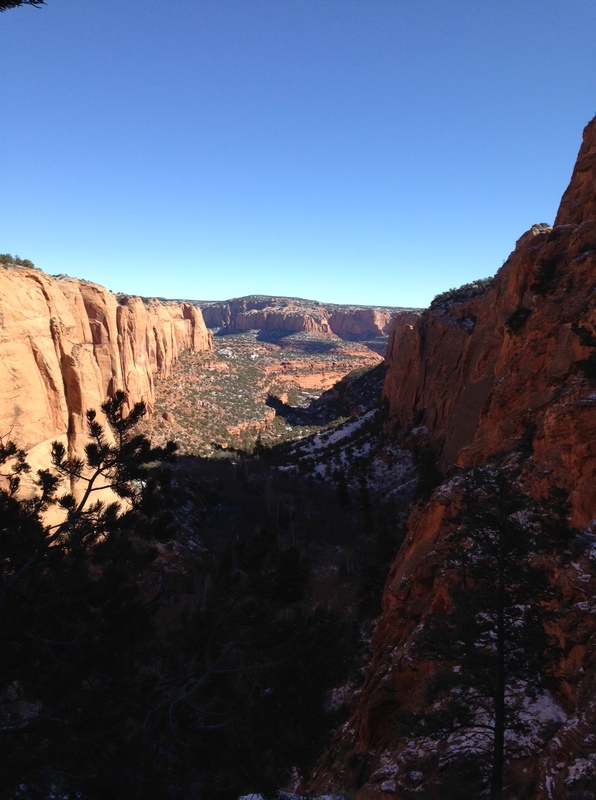 I returned back to my cubicle job this week, so I only had time to visit one national park: Navajo National Monument. Since last week, I wrote ten pages of my play. I completed Act I Scene IV and reached halfway through Scene V. I made sure to leave off at a good spot so that it will be exciting to return back to writing the plot and character development. I was pretty busy at work, meaning that I was pretty wiped when I got home after the 9-to-5 grind. If NaNoWriMo wasn’t going on, I probably would not have written as much, if at all. But I’m committed to coming back every week to tell you that I have reached my weekly goal, so I pushed through. I found it easier to go out and write in public in order to stick to my goal. Writing when I’m tired is tough, so pushing myself to write after work is an accomplishment in itself. I discovered a new connection between characters, so going back to tweak some dialogue in Act I Scene II will be necessary to move the story in this new direction. I plan to continue on on with my ten-page goal. I want to complete Act I Scenes V and VI.